United Way of the Mid-South is Driving The Dream, partnering to help people establish and follow a path out of poverty. With funding from the Siemer Institute, United Way and Knowledge Quest are helping Tonya find her pathway. Tonya lost her job of 3 years, working for a cleaning company. Soon, she and her 3 girls were in danger of losing their utilities and having no place to live. When her daughters ask why they can’t have the things they want or why they don’t have a car, she tells them “everything comes in time, but now is just not the time.” More than anything she wants her girls to have a better life. Her oldest daughter wants to be a doctor, while her middle daughter has an interest in fashion. Tonya smiles – uncontrollably – when she shares that her “baby girl” wants to be a ballerina! Tonya’s daughters were attending the Knowledge Quest Extended Learning Academy, and one day she learned about Knowledge Quest’s Family Stability Initiative (FSI) from a flyer, and enrolled in the program. Months later, Tonya showed up at FSI, beaming as she shared with the staff that her diligence and work had paid off – she had just been hired at the University of Memphis as a utility worker. 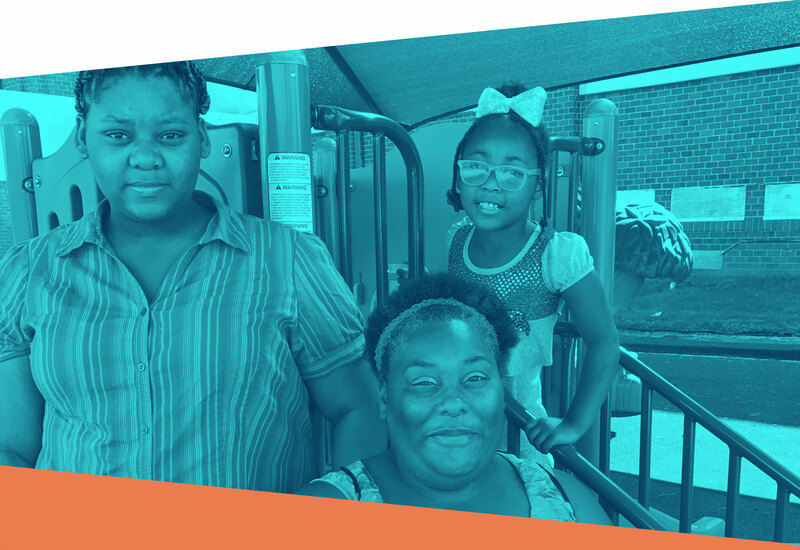 FSI is one of Knowledge Quest’s four flagship programs serving the South Memphis community, which is one of the highest poverty zip code areas in the country. FSI helps stabilize families and prevents homelessness by addressing a family’s basic needs related to food, clothing and housing. FSI provides an array of wraparound services including life skills and parenting classes, individual and group counseling, and assistance with job search. Sitemap © 2019 Siemer Institute, All Rights Reserved.